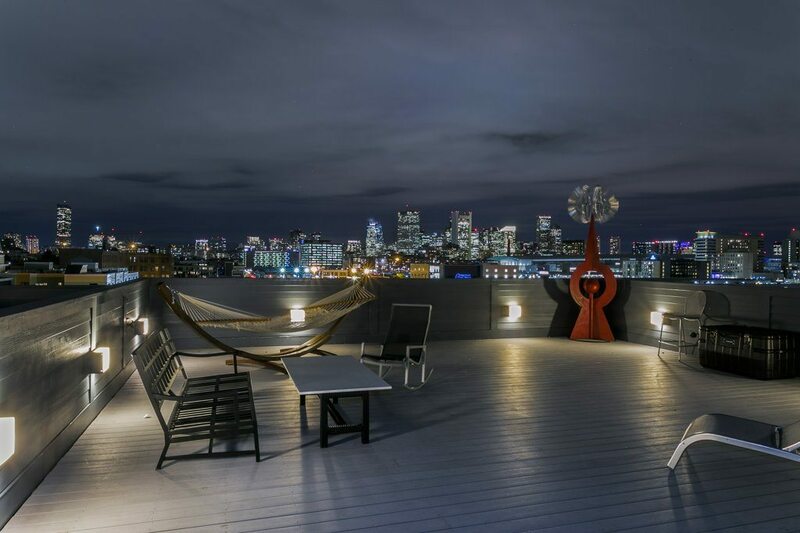 Spectacular Penthouse that tops a Boutique-5 story building with Awe-Inspiring Views overlooking the entire Boston Skyline….from Logan Airport to Back Bay! See the cruise ships dock & depart at the Black Falcon Pier! A truly remarkable 2900SF home…ALL ON ONE LEVEL… 3 Bedrooms, 3 Baths and a large-scale Media/Office/Family Room! Unbelievable 1500 SF PRIVATE roof-deck with jaw-dropping Vistas of Everything! With an added storage room. 2 Heated Garage parking spaces! Enormous Open Living-room, Dining-room, and Chef’s dream gourmet Kitchen all framed with Panoramic Windows and Endless Views! Striking top-of-the-line Viking-Applianced Kitchen that includes an immense waterfall island with seating on 2 sides! Abundant European cabinetry, endless Quartz countertops and an easy-access pantry for memorable cooking & entertaining! 2 additional decks off Dining-room & Media/Office/Family Room! King-size MBR Suite with lavish Spa Bath, complete with double vanity, glass steam shower & giant custom closet/dressing room! Large 2nd en-suite Bedroom! 3rd Bedroom next to a gleaming full guest bath! Custom Hardwood Floors throughout! State-of-the-art Surround Sound system that extends to the roof-deck! Two High Efficiency HVAC systems, Nest controlled! Extensive upgrades include Luminaire lighting and custom/automated window treatments, and remote control ceiling fans throughout. Professionally managed elevator building. Your Dreams Can Come True! Click Here to view More Photos and the Floorplan!